Shetland Islands Council has bought two houses in Lerwick for resettling Syrian refugees. Shetland will no longer be "put in a box" on official maps in Scotland amid complaints that it reinforces the perception that the islands are an “afterthought”. Scotland’s biggest regional airports operator is to introduce parking charges at three island terminals and expects to recoup the £500,000 cost in a year. Vigilance is still of vital importance aboard oil tankers 25 years after the Braer vessel ran aground off Shetland, a Scottish MP said yesterday. A fitness trainer has been made an MBE in recognition for his contribution to sport in the Shetland Islands and to charity abroad. 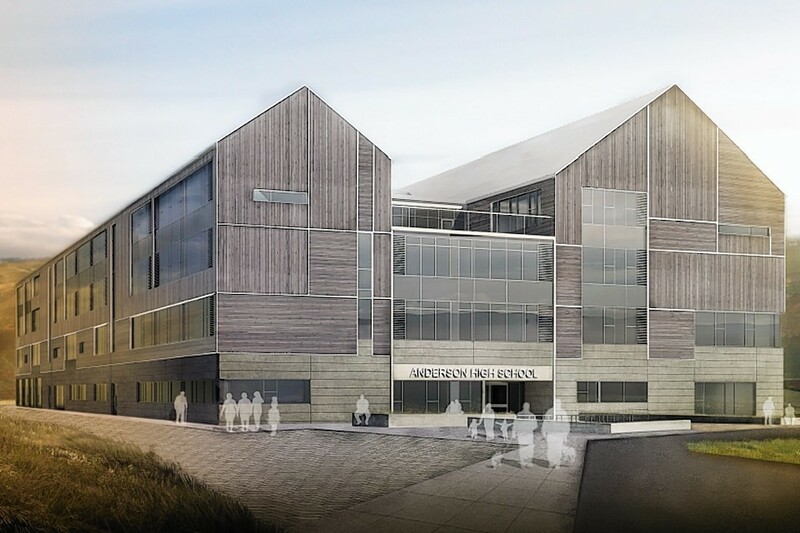 These are the new images of a proposed £43million secondary school in Shetland.